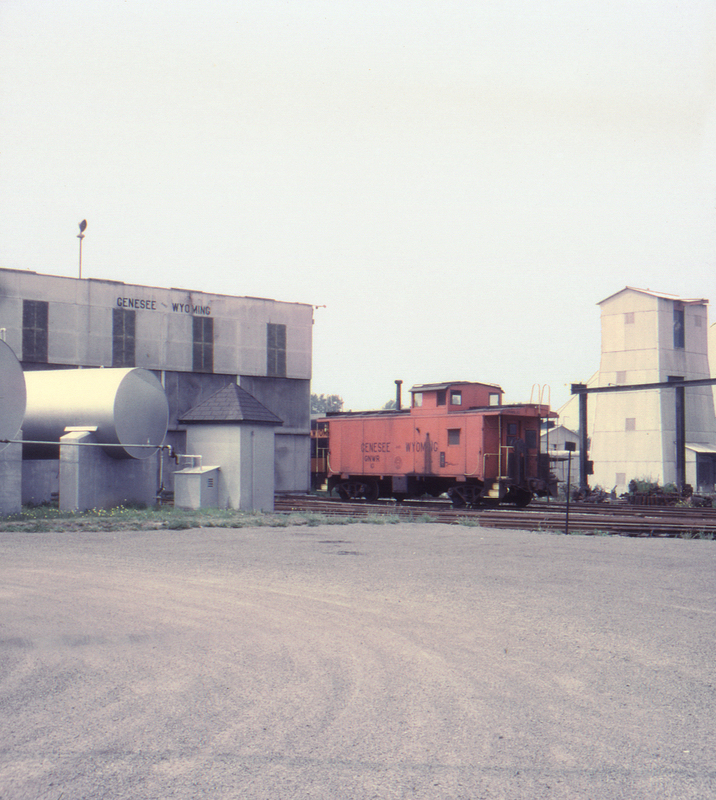 These Genesee & Wyoming engine facilities are located just south of the G&W's wye at Retsof, New York. Here the south leg proceeds to the Retsof Salt Mine and the connection with the former Lackawanna main line; the north leg connects with the Erie and New York Central at Caledonia; and the east leg used to connect with the Pennsylvania's Rochester Branch (abandoned by this time). This day G&W caboose no. 10 appears to be the main attraction, seen here from Retsof Road.